The Träslov pattern probably originated on the island of Gotland off the coast of the Swedish mainland. 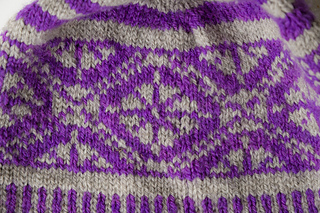 It was used for mittens and stockings (McGregor, Traditional Scandinavian Knitting, 1984). 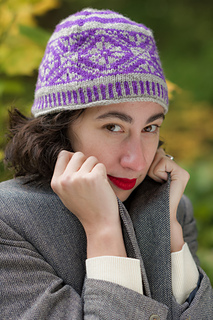 This hat is worked in the round from the top down. The crown increases are worked in the solid stripes before the pattern starts. 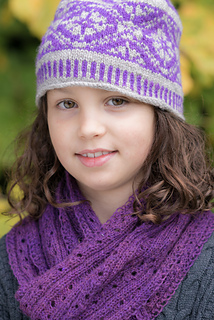 Three sizes are included in the pattern to fit children through large adults. For visual interest the colors can be dark-on-light or light-on-dark.